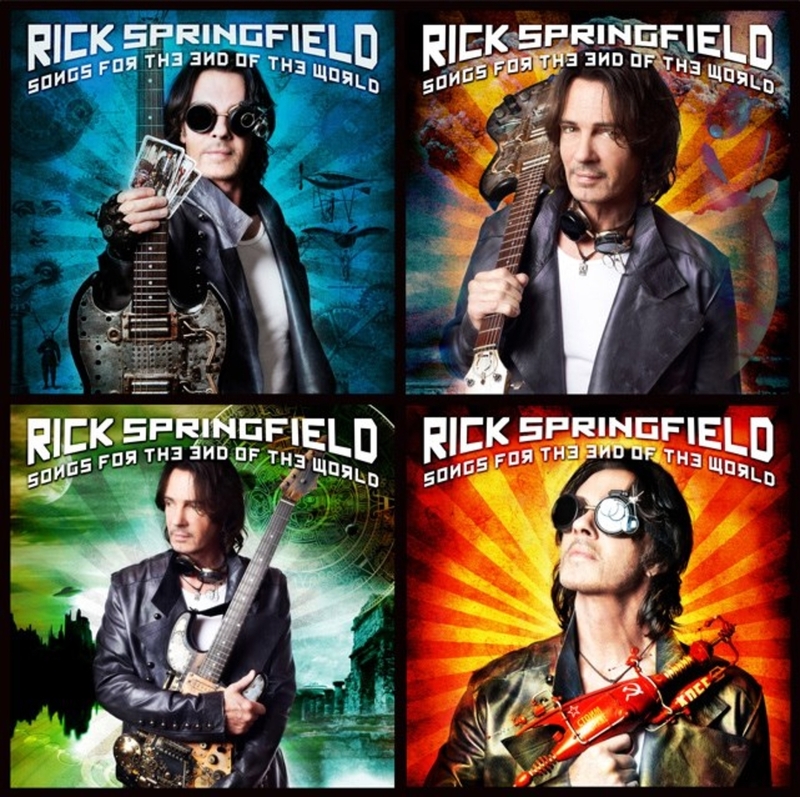 Here it comes folks, my favorite singer Rick Springfield has a new album comming out on October 9th, 2012. Its called “Songs for the end of the world” and it has some really great sounds, lyrics, and vibes to the music. Rick usually writes about his life, and its been a heck of a few years. Rick has massive talent and is able to connect with his fans on a very special level, straight into the heart. Musically the album is filled with catchy tunes, deep meanings, and songs you’ll want to listen to over and over. Offered in 4 different sleeves, bonus content varies for each of the covers which depict 4 alternate ways the world might end. Not a depressing album.. Rick’s songs will confront your emotions, and bring you home to positive and inspirational conclusions. I’m totally in love with this song…it does all come down to you and me… each relationship in our lives is between you and me.. even god.